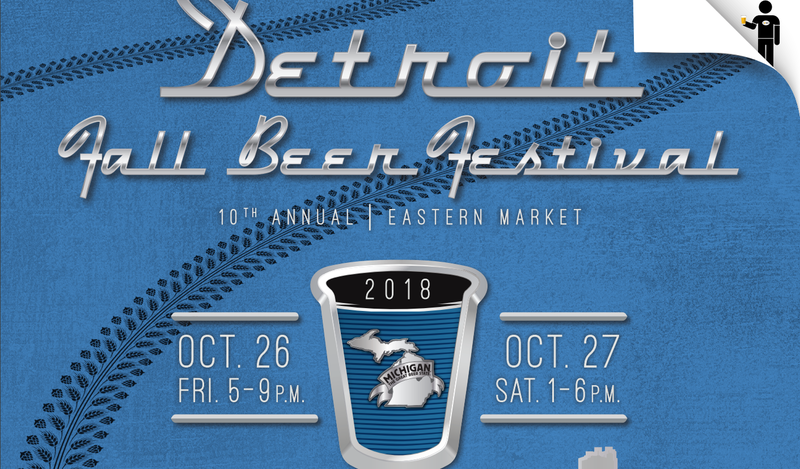 With the upcoming fall beer fest a mere days away, I figured I’d give you all some insight on how I usually approach beer fests, and how I decide which breweries or specific brews I’m going to try. Underneath these two tennants that I try to follow, I’m going to list through the top 10 beers at the Fall festival that I want to try. You might say “you have 15 tokens, why only top 10?” That’s because I want 5 extra tokens to play around with breaking my own rules! Check out the breweries that I’ve heard good things about but haven’t gotten to try. I am a sucker for good word of mouth. Prioritize those by breweries that have little to no distribution. I figure why stand in line for a Founders limited release when I can check out City Built or Arclight instead? I figure this way I’m exposing myself to more of what’s out there, rather than putting myself in that sort of echo chamber of beer I always have access to. It’s all about pushing myself outside of my comfort zone and seeing what else is out there. Normally, I’d go to a brewery tent and ask what they recommend or what they think is the best they have to offer, but because we’re experiencing the calm before the storm on Brut IPAs, I’m going to be seeking out some of those specifically. Drafting Table – One of the Mean Vanilla Bean Stout variations – I live close to this brewery, but I’ve heard great things about this specific stout, and haven’t been able to get my hands on one of their bottle releases for this. Shorts Brewing – Hibiscus Brute (A Brut IPA with Hibiscus) – I’m really interested in seeing what Shorts does with the Brut style. It took them a couple releases to revise their NE style – wonder why we never see Slurm released anymore? Aberrant Ales – Hopstepper (Brut IPA) – I tried to get a crowler from Aberrant recently and their machine was down, so hopefully I can get a taste now. River Rouge Brewing – Barrel Aged Stencil Stout (BA Stout) – Grossly under-rated brewery with great beer. If you haven’t had the Peanut Butter Chocolate Stencel Stout and their out of the specialty BA Stout or Imperial Porter, that PB Stout might blow your mind. Arclight Brewing – Soursmith Strawberry Rhubarb (Lambic) – Arclight does some of the best sours in the state. If you like sours and you haven’t tried them, anything on their list is exceptional. Eastern Market Brewing Company – Strawberry Milkshake IPA (IPA) – I really enjoyed their Saison when I visited them in January, and I’m intrigued to try more from them. Stormcloud Brewing – 2018 Harvest Tripel (Fresh-hopped belgian tripel) – I don’t get to try belgian tripels as often as I’d like, and I’ve recently fallen in love with Fresh-hopped beers. Stormcloud is known for their belgian inspired beer, so I’m looking forward to trying this one. City Built Brewing – Honor Amongst Thieves (Imperial Stout) – I really really REALLY want to try their Melisandre, but that just got released in cans and I don’t want to spoil that for myself before a review! In short, too many great beers and not enough time or tokens. Unfortunately for me, this year I feel like I’m coming down with something already so hopefully I’ll still be able to taste and smell come this weekend!